We open with Prithviraj cheerfully talking on the phone with his wife Mahira as he drives his car. Mahira is home with their two children putting up Christmas decorations and asking him to hurry home so they can put the star on top of the tree. It comes out in the conversation that he is a Christian from Kerala, she is a Hindu from Delhi, they currently live in Ooty and Christmas is a big deal for him so he is making it a big deal for his family. BUT THEN!!!! A small child runs in front of the car, Prithviraj veers out of the way, struggles to regain control of the car, almost has it when he sees a mysterious white figure in his mirror, it distracts him and the car plunges down. Back in heaven, Angel Fawad Khan is in a room with similarly shockingly attractive angelic people. Rekha, Aishwarya Rai, Shobhana, Madhuri, Kunal Kapoor, Arjun Rampal, all gathered around. And the Chief Angel (Dimple Kapadia) is giving a speech. Using video clips and slides, she explains the life of Prithviraj. An orphan, abandoned at birth, and raised in a Christian orphanage. He spent his life helping others, from sharing his pitiful orphanage meals, to volunteering his time at clinics all through med school, to finally traveling to Ooty to open a free obstetrics clinic. He was married to a woman as good as he was, a fellow doctor he met in med school (cute flashback to him first noticing her, following her, and eventually doing a big song and dance expressing his love. She doesn’t react, but later helps cover for him when he makes a mistake in class and he knows she loves him). She married him despite the objections of her family, and helped him build up his dream clinic while also helping to raise a family with him. There were big plans for Prithviraj, his clinic was going to be a test case, in a few years he was meant to start lecturing and inspiring others to follow his example, bring a new awareness to the enormous dangers of birth in India and the importance of providing safe care for women. He would save millions of lives. But instead, someone made a mistake. One of the Angels in heaven, while saving the life of a small child in his charge, allowed himself to be seen. And because he was seen, Prithviraj was distracted and died. And who is that Angel? Fawad stands up, looking noble and expressionless. Dimple points at him and says “You are one of our best angels. Not a single mistake in 800 years. And I fear it lead you to the sin of pride, to thinking you are better than humans, forgetting that you are here to serve them. And so I will teach you a lesson. You will return to earth and seek out Prithviraj’s family. You will learn to be human with them and bring them human joy. And only then can you return to heaven.” DUN DUN DUN!!!!!! Fawad lands on earth and is incapable of connecting with people. He doesn’t mean to be cruel, but he shows his own sense of superiority as he watches humans struggle to calculate how much change to give him or try to remember directions or any thing else our puny minds do that cause an effort. But he is still an angel, so when he sees a puppy wander into the path of a falling brick, he leaps forward to save the puppy and is hit on the head and knocked out. Which works perfectly, because the passers by take him to Mahira’s free clinic (with the puppy). At the clinic, Fawad arrogantly tries to solve all their problems easily, gives a large anonymous donation of gold that he pulls from thin air, gives the kids a pet puppy, magically puts up a Christmas tree and uses his powers to enfuse joyful spirit in the air and inspire a cheerful Christmas song with all the patients (adorable elderly couple waiting for their great-grandchild to be born, children, puppy, etc.) dancing along. Fawad glides out the door, magically popping a wreath on it as he leaves and then pops out of existence and back to heaven to report his job is done. Dimple puts on a teacher voice (which offends Fawad and makes him twitch) as she explains that it’s been a long time since he interacted with humans and he may have forgotten that, for them, happiness is easy and fleeting. She pulls up the viewer to show Fawad what happened after he left. Mahira was happy to see the Christmas tree, and the donation which will allow them to keep the clinic open, and that her kids loved their puppy. But then they had to go back home and the puppy had an accident she needed to clean up, and the oldest daughter complained that she was never home and asked if now that the clinic had money, she could stay home with them again? And Mahira had to try to explain that the clinic was their father’s dream, she has to keep it going, but she will be home as much as she can. The daughter turned snotty in disappointment and asked if Mahira was never home, then could she just spend Christmas at her friends’ house instead? Mahira refused because Christmas is a family time, the daughter burst out “I hate family” and stormed away, the little boy started to cry, so did the puppy, Mahira took them both on her lap and rocked and sang, and the daughter came back into the room to sit with them, argument over. And then Mahira put them both to bed, and went back to the living room to sit up with the puppy and pay bills. Fawad is stunned by the end, says to Dimple “But, this is so hard! How can they live such hard lives? Never truly happy for more than a moment at a time? And doing it all with only their little brains and small powers?” Dimple nods in satisfaction that he has learned the lesson she wished him to have, and says “I want you to fully understand how hard it is. I am returning you to earth, but this time you will live as a human will. And like a human, you will try to bring enduring happiness back to Mahira and her family. The slow hard way.” And then, BIP! He is back on earth. Fawad looks different this time. Not the perfect shockingly handsome bearded man in a suit, but instead rumpled and in poor fitting shirt and pants with his Angel-beard shaved off. He stumbles around asking directions and has to make people repeat them 5 times because he doesn’t have perfect memory any more, and he discovers he has no money in his pockets, and he starts to feel weak and realizes this must be what the humans call “hunger”. Eventually he sits down because he feels so weak, and Mahira’s sweet little boy finds him and takes him to his Mom at the clinic because he is someone who needs help and she helps people. No one at the clinic recognizes him from his previous visit, at least not consciously. Mahira takes pity on him, and when she learns he has no skills of any kind or job history, and he pretends to not remember details his previous life because of a head injury. She offers to let him help at the clinic over the holidays while her regular receptionist is visiting his family. And (at the urging of her son) also reluctantly offers to let him stay in servant room at their apartment, since their regular houseman is also visiting his family. 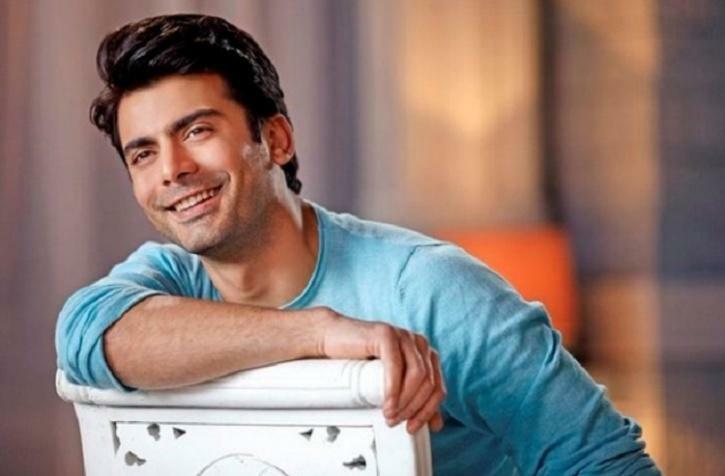 Fawad slowly comes to discover the pain and pleasure of being human. He learns how to be patient with others and with himself, how to remember to eat and sleep (after a few close calls when he faints because he forgot to take care of himself), and most of all how to make a connection as equals. The little son is the easiest, he is so lonely since his sister stopped playing with him and now that his mother is working, so he clings to his new friend Fawad. Fawad works hard to entertain him and keep him happy, and the first time he learns what it is to be “angry” is when the little son plays with the stove and almost burns himself. Which is also when he learns what it is to be “scared”. The daughter is harder, but Fawad helps the son make a perfect birthday present for her. Her birthday is right before Christmas and her father always made a big deal about it and kept it separate from the holiday, but now Mahira can barely manage a cake and a candle let alone a whole party. 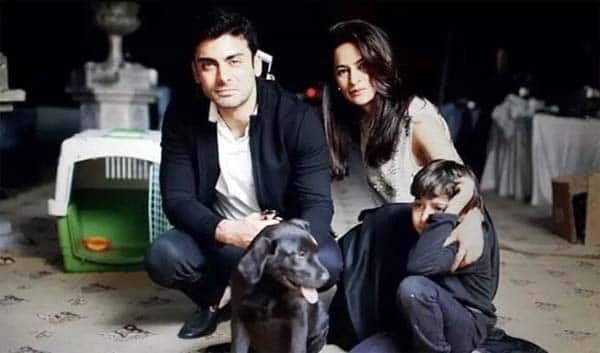 But Fawad and the son surprise her by helping her skip school and recreating what the son remembers as her “best birthday” when the whole family spent the day together. And that’s also what helps Fawad get through to Mahira. They arrive late home that night, and Mahira scolds them, and tells the daughter she will have to make up her school work. But not until tomorrow, since it is still her birthday, she and the son can stay up an extra half hour and watch TV. They go off together happily squabbling about what to watch. Fawad braces himself for Mahira to yell at him, but instead she surprises him with a big hug and says “thank you thank you thank you!!!! That’s the first sincere smile I have seen on her face since I can remember”. And then she goes off cheerfully smiling to surprise the kids with a big hug for each too. Fawad is stunned, both at the unpredictability of humans, and at his reaction to the hug. Love song! Mahira blossoms, now that she sees how her kids are happier with Fawad around, and now that Fawad is addicted to her hugs and willing to do whatever it takes to make her happy, she can feel like herself again. She starts surprising her kids with special breakfasts, reading to them every night, dressing better and wearing her hair down, and smiling all the time. Fawad just follows her around like a little puppy, smelling her hair and being stunned at her beauty when she comes out with loose hair and being stunned in general every time she hugs him. All along, Fawad has been sending reports back to heaven. Which give us a little clue to his inner thoughts, as he talks about feeling anger and fear and feeling something very different, like a great big bubble of heaven inside his chest, when Mahira hugs him. And now for the first time we see Dimple reading over all the reports. She has called in a consultant, Rani (I’ve decided this is a shared universe with Thoda Pyar Thoda Magic). Rani confirms her findings, and suggests that at this point the only thing to do is order him back to heaven as soon as possible. We see Fawad get the order, in a dream. Dimple tells him it is time to come back and he asks “is that best for Mahira and daughter and son? They need me” but Dimple won’t listen to him, just orders him back, and he reluctantly agrees. But she relents enough to give him one day to say good-bye. So Fawad goes about his day like usual, but makes a point to tell each of the family members what they most need to know. Puts a note in the daughter’s lunch that tells her that her mother loves her very much, even when they fight, and so does her little brother, and all she has to remember is to let them love her. Brings the little boy next door to meet the elderly couple next door (who they had previously met a few other times) and makes sure it goes well so the little boy will always have someone to play with and never feel alone, even when his mother is busy. And finally goes to the clinic and asks to speak to Mahira. He tells her in a very calm manner that he loves her, that he doesn’t know what his life was before but all he wants is for the rest of his life to be with her. That she makes him happy and he just wants to make her happy. He loves her kids and he loves her house and he loves everything about her. He knows she doesn’t think about him or care for him at all, but he wanted to say it, to let her know that she is deserving of love and worthy of it, and that she should always be happy. And then he promptly falls over as Dimple brings his soul back to heaven but leaves his human body on earth. Back in heaven, Fawad doesn’t really look angelic any more. He is still subtly less perfect than he was at the start, and he is definitely more emotional. He arrives back in heaven and gasps in pain at leaving his family behind. Dimple doesn’t seem to notice it, just congratulates him on a job well done and moves on to describing his next assignment. Fawad interrupts her and begs her to show him what is happening on earth. She sighs in irritation but indulges him and pulls up a viewer to show Mahira calling for help, trying to resuscitate him, and beginning to confess her love just as Dimple cuts off the feed and asks “can we move on now?” Fawad sadly nods in agreement and lets her keep talking, before cutting her off and saying “I’m sorry, I don’t think I can do this”. Dimple is all, “excuse me?” Fawad keeps talking, working it out as he talks, “I can’t just go from place to place serving others. I want to keep serving these 3 people, I think that is the only way I can provide true service. Angels are supposed to help out of love, and I don’t think I can love anyone else as much as I love these three. I think that might be what humans call a family? They are my family, and I can’t leave them”. By now he is more and more upset, standing up and shouting, “I can’t leave them! You have to send me back! You must send me back!!! !” Dimple smiles and says “Rebellion? Passion? Love? Those are not Angelic traits! It sounds like you have become human indeed down there. That is all we were waiting to confirm, that you were human enough to live a human life and make a human family happy. Good luck to you.” And BIP. This entry was posted in Uncategorized and tagged Christmas, Fawad Khan, Silly Sunday by mredlich21. Bookmark the permalink. Happy tears!!!! Love all the other details you have added. There’s a typo in the last paragraph. Fawad wakes up in the hospital bed,not Prithviraj. 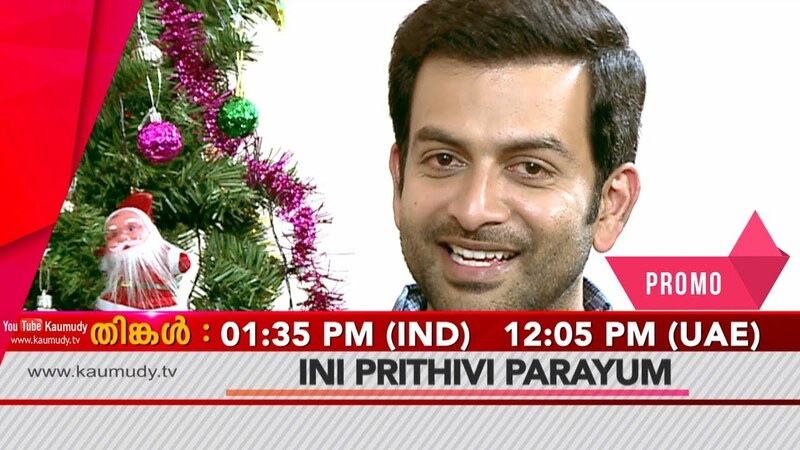 We love Prithviraj,but he is reborn elsewhere and moved on to Parvathy. I had Prithviraj becoming an angel, but moving on to Parvathy works just as well! I’ll fix the typo, very confusing seeing as a possible happy ending could certainly have been Prithviraj magically returned to health. And I am so glad you liked it! I gotta say,Margretland is the only place in heaven and Earth where a Malayali & Pakistani cross cultural romance can be even conceived. I kind of think South industries would be a great place for the talented Pakistani actors and film makers The right wing nationalism has almost no power down south,so no question of any ban or such nonsense,they would be so welcome here. But then Southern isn’t as glamorous or as popular as Bollywood,so no motive for anyone to seek opportunities there. Where did what’s-her-face, Thattathin Maruthi actress, come from? And Margaretland is a wonderful place! There is total acceptance of all love stories, across ethnicities, religions, and genders. The only thing I won’t allow, is Hollywood crossovers. White people are boring. She’s a Mumbai model. If she can pass off as a Malayali girl,anyone can. Totally weird and stupid casting. Wait, I forgot, Amy Jackson’s big break playing the Malayali heroine in Ekk Deewani Tha. Awww. That made me tear up. Perfect extra sappy love story for Christmas time. Love Dimple as the boss angel and Rani as the consulting angel. This Sunday I think I’ll repost the “Shahrukh as Angel” fanfic from last year and make it a series. Oh my gosh I saw the original comment and it immediately made me start imagining the story, this is perfect! I’m so happy you like it! Swing back on Sunday to see the Shahrukh version.